The Surgical Oncology facility in Ruby Cancer Center is a comprehensive facility offering a multitude of services that cover a large gamut of ailments. Surgery is usually the primary method of treatment for most isolated solid cancers . It also plays a role in reaching a definitive diagnosis and staging the tumor. Every patient referred to Ruby CANCER CENTRE for surgery benefits from the expertise of our very renowned onco-surgeons coupled with our multidisciplinary team approach to cancer care, and access to world class facilities. We view postsurgical rehabilitation as an integral part of cancer care. 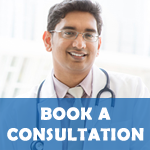 It is available both on an inpatient and outpatient basis for individuals at various stages of cancer treatment. This service includes physiotherapy, nutrition and psychotherapy . Diagnose and stage a cancer. Remove the whole cancer (tumor/mass). Remove some, but not all of the tumor. A surgeon may not be able to safely remove all of the cancer because it could harm other parts of the body. This is often called a debulking surgery. Ease symptoms caused by the cancer. This is called palliative surgery. To return / change the body’s condition after a surgery. This is called reconstructive or restorative surgery. Examples of this type of surgery are breast reconstruction or reversal of colostomy. Diagnostic. For most types of cancer, a biopsy is the main way to diagnose cancer. During a surgical biopsy, the surgeon makes a cut, called an incision, into the skin. Then, he or she removes some or all of the suspicious tissue. An incisional biopsy, where a piece of the suspicious area is removed for study. An excisional biopsy where, the whole suspicious area is removed, such as a mole or a lump. After a biopsy, a pathologist examines the tissue that was removed under a microscope. A pathologist is a doctor who interprets lab tests. He / she also evaluates cells, tissues, and organs to look for disease. The pathologist then gives a pathology report to the oncologist. Next, the oncologist looks at the report and diagnoses the tumor. Staging. Staging surgery is used to find out the size of the tumor and if or where the cancer has spread. The doctor often also removes some lymph nodes near the cancer to find out if it has spread. Lymph nodes are tiny, bean-shaped organs that help fight infection. The health care team uses the results from this surgery and other tests to guide the treatment options. These tests can also help predict a person’s prognosis, which is the chance of recovery. The cancer's stage may also be included on the pathology report. Tumor removal, also called curative or primary surgery. Surgery is most commonly used to remove the tumor and some of the nearby healthy tissue. The tissue around the tumor is called the margin. Tumor removal may be the only treatment. Or it may be used with other treatments, such as chemotherapy or radiation therapy. With conventional surgery, the surgeon makes large incisions through skin, muscle, and sometimes bone. Sometimes, he or she can use surgical techniques that are less invasive. These techniques may speed recovery and reduce pain after surgery. Sometimes, the surgeon cannot remove the entire tumor, or removing it might cause too much damage to the body. In these cases, surgery is used to remove as much of the tumor as possible. Other treatments, such as radiation therapy or chemotherapy, may also be used to shrink the rest of the cancer. These treatments may also be given before surgery to help shrink the tumor so it can be removed. Palliative surgery relieves side effects caused by a tumor. It greatly improves the quality of life for patients with advanced cancer or widespread disease. Bleeding may also be a side effect of some drugs used to treat cancer. When surgery is needed to stop bleeding, a common technique is suture ligation. This surgery ties blood vessels using surgical thread. Insert a feeding tube that delivers drugs if the cancer or treatment has made it hard to eat. A feeding tube is inserted directly into the stomach or intestine through the abdominal wall. A tube may also be inserted into a vein to deliver pain medication or chemotherapy. Prevent broken bones. Bones weakened by cancer or cancer treatment can break easily and often heal slowly. Doctors may insert a metal rod to help prevent the breaking of weak bones and relieve pain during healing. After the main surgery to remove a tumor, people may choose to have another surgery to restore the body's appearance or function. This is called reconstructive or plastic surgery. Reconstructive surgery may be done at the same time as surgery to remove the tumor. Or it may be done after a person has healed or received more treatment. Examples of reconstructive surgery include breast reconstruction after a mastectomy and surgery to restore a person’s appearance and function after head and neck surgery. Surgery is also done to reduce the risk of getting cancer. For example, doctors often suggest the removal of precancerous polyps in the colon to prevent colon cancer. In addition, women with a strong family history of breast or ovarian cancers or known mutations in the BRCA1 and BRCA2, breast and ovarian cancer genes may decide to have a mastectomy (removal of breast) or oophorectomy (removal of the ovaries). Having these surgeries lowers the risk of developing breast or ovarian cancer.